From a distinctive, inimitable voice, a wickedly funny and fascinating romp through the strange and often contradictory history of Western parenting. Why do we read our kids fairy tales about homicidal step-parents? How did helicopter parenting develop if it used to be perfectly socially acceptable to abandon your children? Why do we encourage our babies to crawl if crawling won’t help them learn to walk? These are just some of the questions that came to Jennifer Traig when - exhausted, frazzled, and at sea after the birth of her two children - she began to interrogate the traditional parenting advice she’d been conditioned to accept at face value. 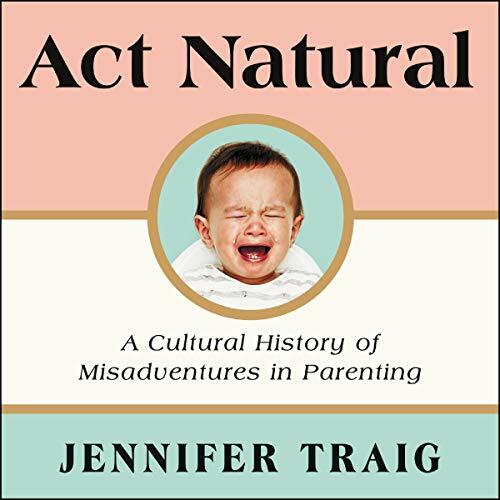 The result is Act Natural, a hilarious and deft dissection of the history of Western parenting, authored with the signature biting wit and deep insights for which Traig has become known. I really enjoyed the book and the voice. At no point I lost my interest in it. Would recommend to anyone regardless if you have children, as a glimpse into how children (primarily European) were raised throughout the history.